Automotive Industrial Strategy is about developing a long-term approach in partnership with business to give confidence now for investment and growth. To invest and grow, businesses needs long-term certainty and government that behaves more like a business, sticking to long-term plans to tackle economic weakness and instability. Government and industry investment of £1 billion over 10 years in the Advanced Propulsion Centre (APC) to research, develop and commercialise the next generation of low carbon technologies. Investment of up to £3 million to set up the Automotive Investment Organisation to (AIO) to lead attracting inward investors into the UK and to support UK suppliers to maximise overseas export opportunities. Ensuring the right skills through a collective roadmap for the skills and training needed to address skills gaps in the automotive sector. Ensuring that the UK automotive industry is well placed to benefit from more investment in production and R&D activity. 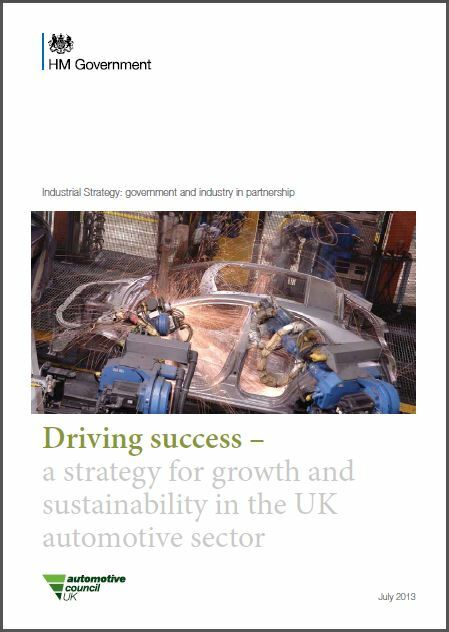 In April 2014, the Industrial Strategy Council published a report highlighting the early achievements, ongoing activities and future priorities of industrial strategy – including the Automotive Sector Strategy. Click here to read the progress report.